How can you go wrong with a blue topaz gemstone and polished sterling silver. They go together like no other. 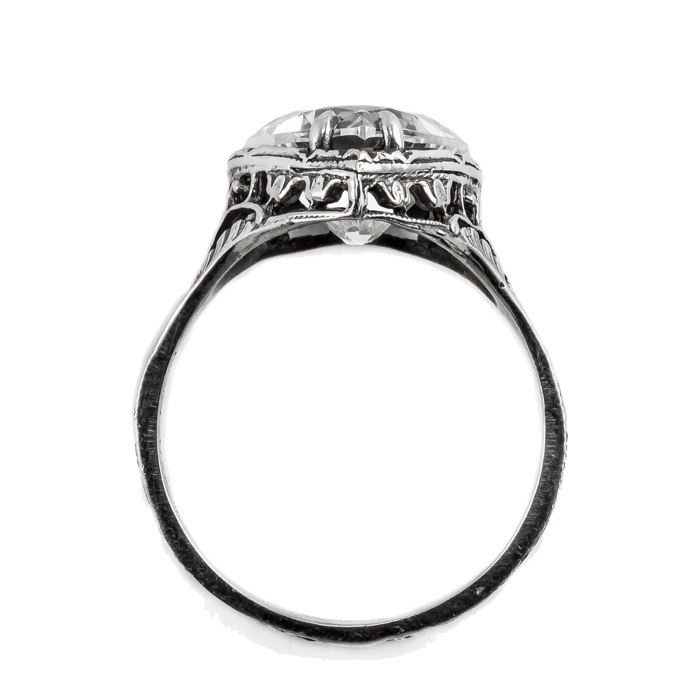 The vintage style of this treasure will stand the test of time. The jewelry experts at Apples of Gold has made a big statement with this heart shaped ring. The stunning blue topaz gemstone is securely set in the sterling silver band. 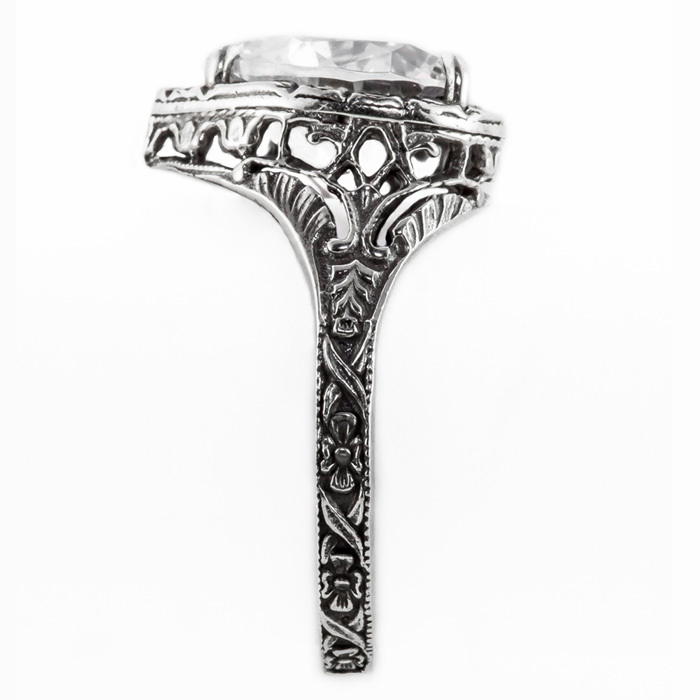 The filigree ring measures 10mm and we have provided a ring sizing chart for your reference. 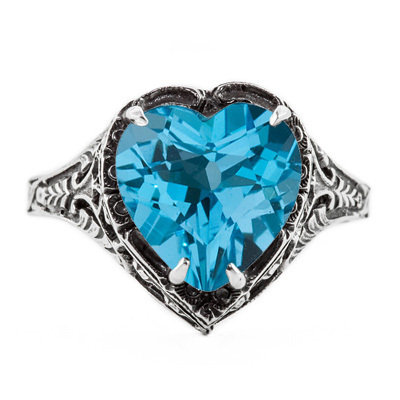 What a unique heart shaped sterling silver ring..
We guarantee our Vintage Filigree Blue Topaz Heart Ring in Sterling Silver to be high quality, authentic jewelry, as described above.